I've finally read this after years of seeing it referred to in books, movies and television shows and I enjoyed it. Precis is, Gray wishes for eternal youth and his wish is granted with a portrait of him recording his physical and moral corruption rather than him physically. He takes many people with him as he descends into a moral free zone. Critics refer to it as a philosophical novel which it is, but for me what stands out is the British class system, it was awful. It is easy to see why Wilde made himself so unpopular he can be scathing - " With an evening coat and a white tie, as a you told me once, anybody, even a stockbroker, can gain a reputation for being civilised." 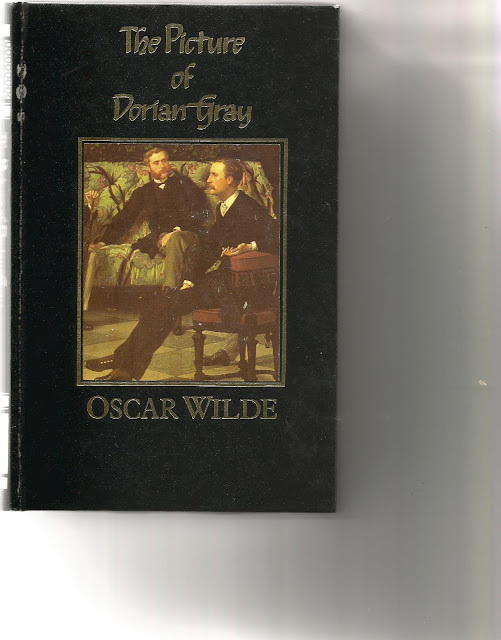 Wilde was a walking epigram, this book is full of them, some you agree with,others you don't but most are very clever. A good read and has filled a space in my reading knowledge. The edition I've read is a facsimile of a 1931 edition and is a censored one, evidently there are some 500 words missing, but more recent editions have Wilde's full text.